Note: Complete two rounds of this “Chipper” with up to 5:00 rest between rounds. The goal is to blast through Round 1 at a blistering pace, recover quickly, and repeat within 15 seconds of your first round. 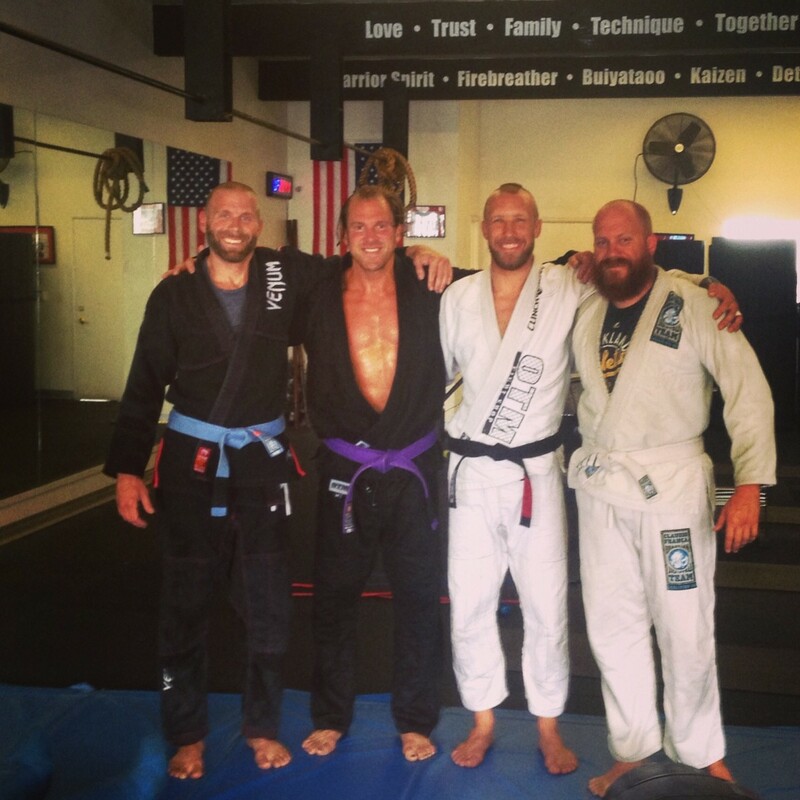 On Thursday, May 21, 2015, Jacob, Coach, Nate and Luke joined forces for an incredible CAMP session to help prepare Nate for his upcoming Brazilian Jiu Jitsu World Championship Fight. The guys completed 3 rounds of 1:00 at the following stations: Assault Bike, Concept 2 Row, Double Under, and Heavy Bay Throws with Positional Ground Work. The session concluded with Warrior Yoga and guided visualization. Ossssss.